Online gambling operator GVC Holdings and casino and hospitality giant MGM Resorts International have entered the final stages of talks over the creation of a joint US sports betting business, sources familiar with the matter told Sky News. It is believed that the joint venture could eventually lead up to a full-scale merger that would establish a global land-based and online gambling powerhouse worth more than $26 billion. GVC confirmed on Saturday that they were in advanced discussions over a potential joint venture with MGM and that they would update the market when appropriate. Sources told Sky News that the deal is likely to be finalized over the weekend and that an update could come as early as Monday. GVC and MGM have been working together since the legalization of online gambling in the state of New Jersey in 2013, where the Isle of Man-based company has been operating a gaming website with the Borgata Hotel Casino & Spa. The two companies’ new joint venture would encompass an online sports betting business as well as the provision of other online gambling services across the United States. It would be structured as a 50-50 operation into which each of the two companies would pledge an initial $100-million investment. The partnership seeks to capitalize on the recent annulment of a long-standing federal ban on sports betting in the United States. The US Supreme Court lifted the ban in May to make it up to individual states to decide whether they want to legalize betting activities. New Jersey, which pushed for the ban’s overturning, was the first to jump on the sports betting bandwagon, legalizing the activity days after the SCOTUS ruling. It is believed that at least 15 other states will follow suit in the coming months. According to sources, the GVC/MGM joint venture will initially be launched in Nevada and will gradually expand across the nation. It would include a 25-year commitment from the involved companies with an option for each of them to buy the other after ten years into their partnership. GVC’s market capitalization currently stands at £6.29 million (approximately $8.2 billion) after it completed earlier this year its combination with British bookmaker Ladbrokes. MGM has an estimated value of $17.27 billion. A merger between these two could result in a massive gambling business with global presence across all channels. It is believed that the joint venture will offer sports betting under the MGM brand as well as other online gambling services under some of GVC’s flagship brands, including partypoker and Sportingbet. 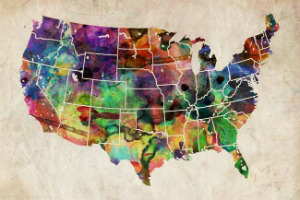 The announcement about MGM and GVC joining forces to enter the nascent US betting market comes amid a flurry of major European bookmakers setting foot in the United States for the same purpose. 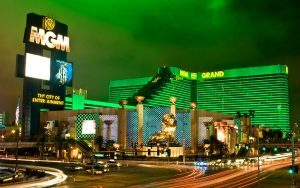 Paddy Power Betfair has recently announced the acquisition of US fantasy sports operator FanDuel, while William Hill, which has operated sports books across Nevada for quite some time and opened a sports book with the newly launched Ocean Resort Casino in New Jersey, is in talks to find a local partner for further expansion across the US.